First off, we used an iron skillet and chicken thighs. I think both make this recipe even more delicious! I used to be a white meat person, but now I like to eat things like chicken thighs and legs. I thought they were gross before, but Michael convinced me to try them, and they have a lot of flavor. 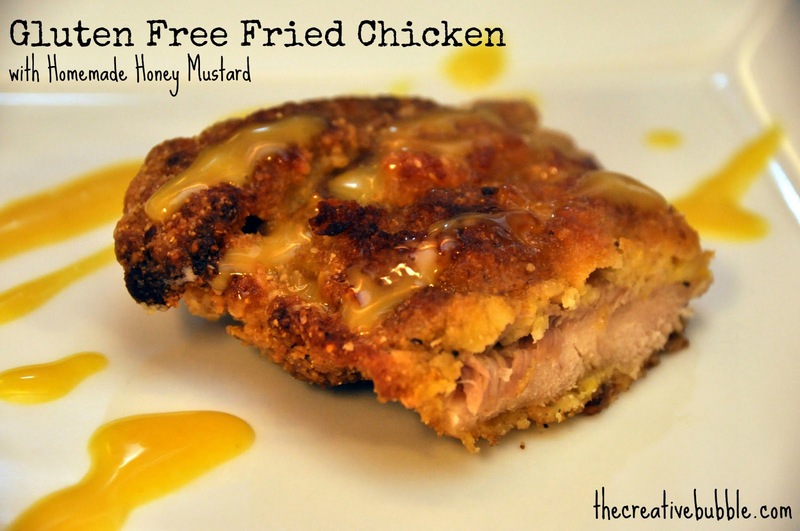 Here is how you can make this yummy fried chicken. PS-I'm not gluten-free, and it tastes as good or even better than a lot of fried chicken I've had. -Clean chicken thighs, set aside. -Mix cornmeal, flax meal, almond meal, salt, pepper, garlic powder, and onion powder in a bowl. -Whisk two eggs in a separate bowl. -Heat cooking oil in pan on medium heat. -Coat chicken thighs in dry ingredients, then eggs, then finally re-coat in dry ingredients again, creating a thick batter. -Cook in heated oil until well browned, and deliciously crispy. Flip thighs and cook until brown on the other side. -(This is where the iron skillet helps.) Now, transfer the chicken to a baking dish or leave in iron skillet, and place in oven for 20-25 minutes until inside of chicken is fully cooked. 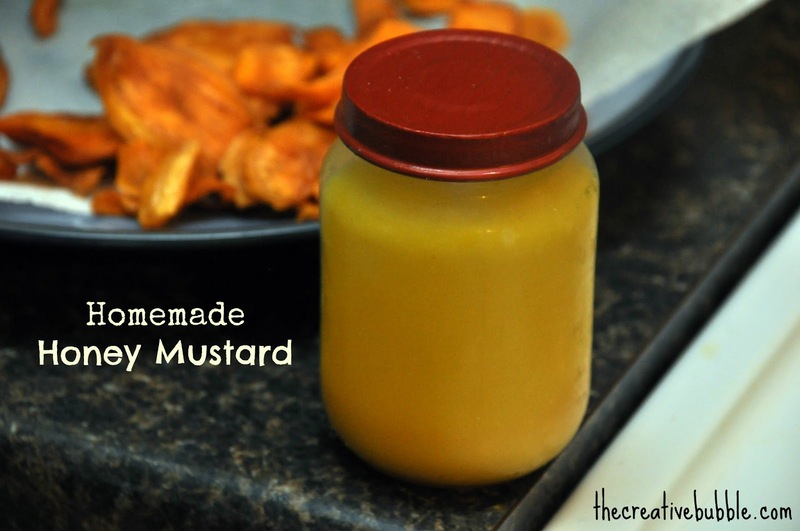 Be sure to make some homemade honey mustard to go with it if you like it. It's so, so easy to make! Stay tuned for a post on how to re-use baby food jars, and also a post on those yummy sweet potato chips you see in the background above. I like to make small batches of sauces. This way they don't go bad before we finish them off. you are trying to avoid soy and canola, too. It's really good in chicken and egg salad. We are new to this whole gluten-free, dairy-free thing. If you have a recipe you love, I'd sure like to hear about it!